It's been a while since I shared any nail colours here on the blog, and truly, I cannot remember the last time I actually wore nail polish. For someone who owns a let's-not-talk-about-it number of nail polishes, I have been sporting the nekkid nail look for too long. Well, I seem to have found just the colors to brighten my mood. 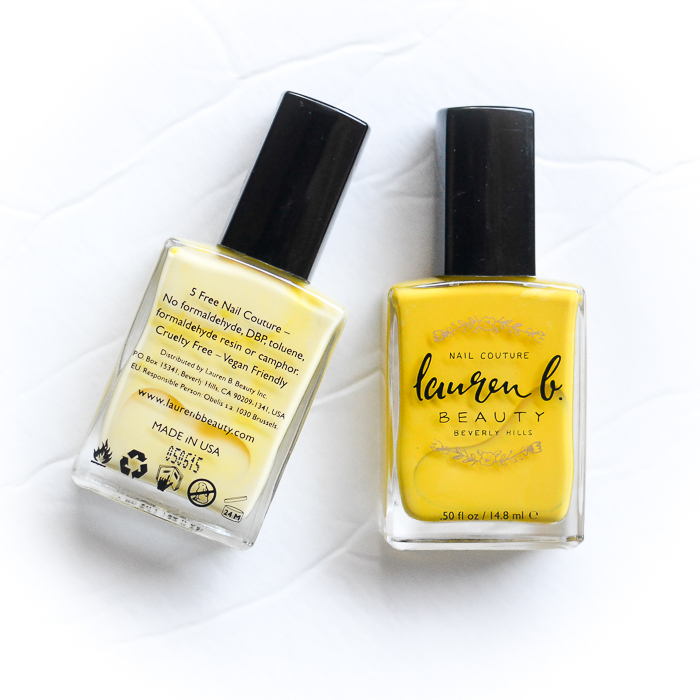 These cheerful yellow nail polishes are from the Lauren B Nail Couture collection - Coachella Valley Sun (rich yellow) and Zuma Beach Bum (creamy pastel yellow). Scroll on for more. 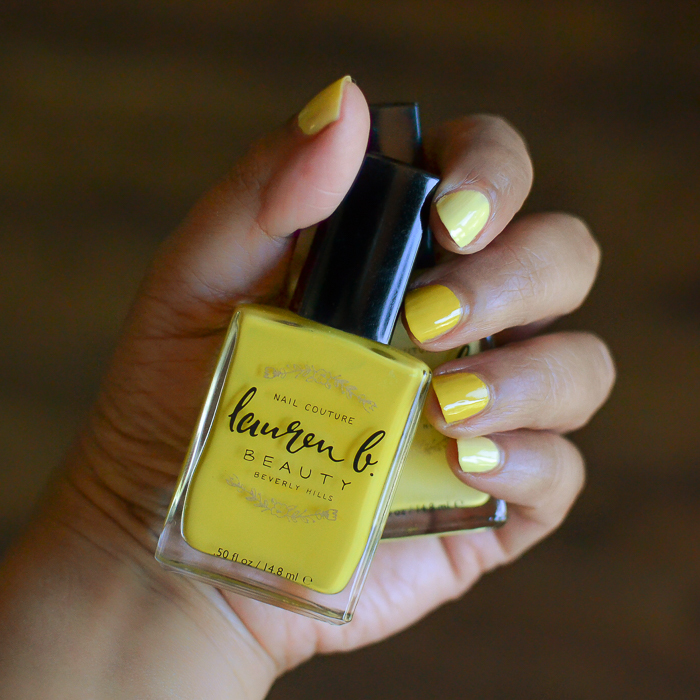 This is my first time trying out Lauren B nail colors, and I must say I am impressed. I find lighter/brighter colors like these yellows generally more difficult to apply (I read somewhere this has to do with the pigments), but I could get quite even coverage and streak-free application with two coats on these polishes. Both the shades have glossy creamy finishes, and the polish is supposed to be long-lasting. I cannot speak for the lasting power since nothing lasts very long on my nails (cooking/cleaning/typing/gardening..I could go on and on), but these polishes do dry quite fast - which means lesser chances of me smudging the polish - and they do seem to hold up better than a lot of other polishes I have tried so far. 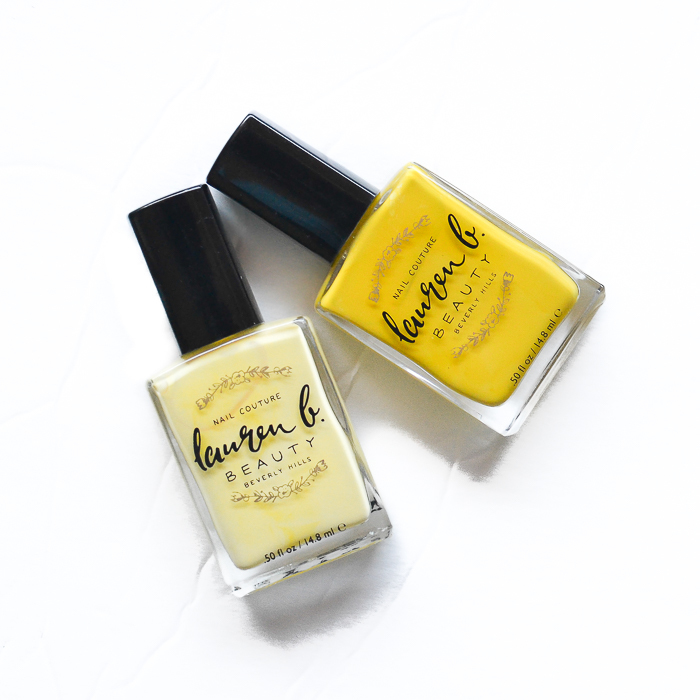 Lauren B nail colors are 5-free nail colors and are cruelty-free, vegan-friendly products. The two colors that I have tried - Coachella Valley Sun and Zuma Beach Bum are perfect for the summers.